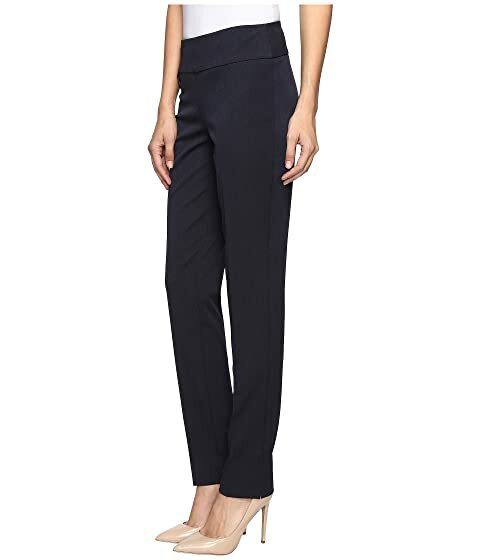 Dress up your look with this chic Lisette L® Montréal pant. 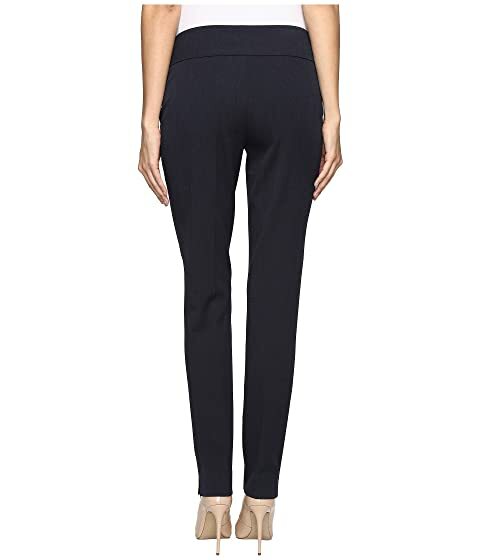 Stretch fabric pant boasts a slim fit with a tapered shape from the knee down. 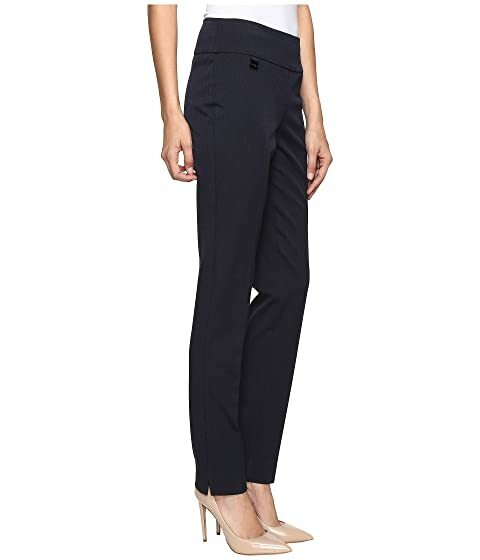 Pull-on design features built-in tummy control with flattering panel and contoured waistband. Logo charm at the right front hip. 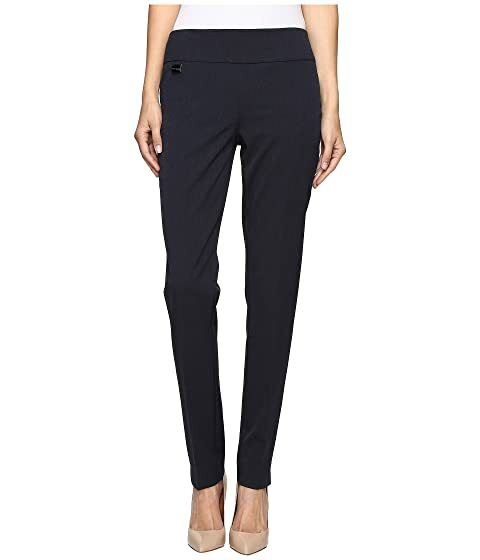 68% polyester, 28% viscose, 4% elastane.